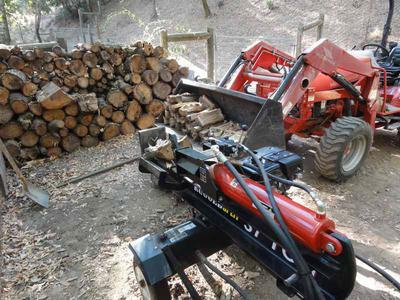 I bought a 37 Ton RuggedMade log splitter on their website almost two years ago. I did a lot of research prior to making the purchase. Everything I saw in stores was lightweight and cycle times weren’t too good. You can get good heavy duty models but they cost 3K plus. I'm a tall lanky old guy who likes to work standing up straight, this splitter has a nice high working elevation. The RS-537 is very heavy duty. 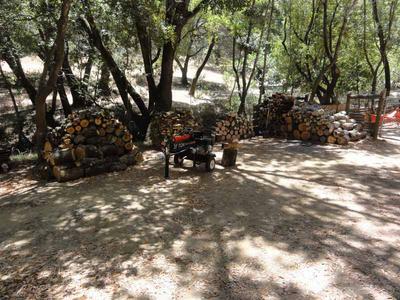 I live in Northern California, most of the wood here is Oak and most of that is Live Oak. Live Oak has grain going every which way and can be a challenge to split. Not for the 537, although I have heard it grunt. I was a little concerned about the Lifan motor. I was advised to change the oil at around 10 hours. I changed it at 5, 15 & 25 hours. I know this is overkill, oil is cheap motors aren't. 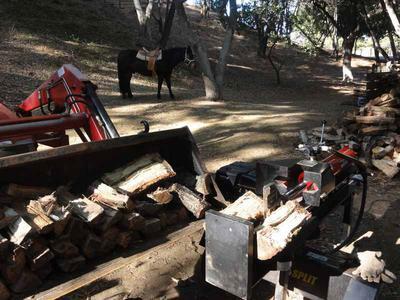 The motor starts on the first pull every time, even after a long rest in the barn. I've got around 65 hours on it and so far I'm happy with the Lifan engine. Most of my splitting is horizontal but the vertical option is handy for big rounds. You can buy other splitters built tough like the my 537 and you'll pay at least twice as much. Bottom line is… It's a keeper.